Dissociation is a common defense to stressful or traumatic situations. It is the psychological process in which the mind detaches itself from the self or the world, usually in moments of stress. 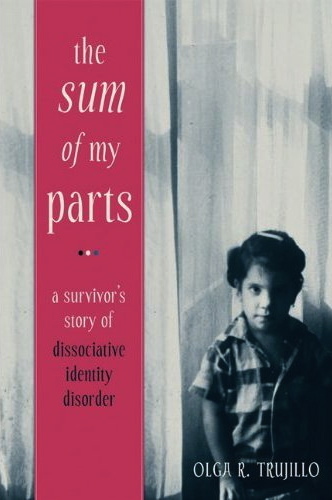 Dissociative experiences are common and are not necessarily symptomatic of a disorder. Most people have had the experience of driving to a destination with little memory of the journey. Dissociation can become a disorder as a result of severe isolated traumas or repeated traumas. These disorders impair the normal state of awareness and limits or alters one’s sense of identity, memory or consciousness. Once considered rare, recent research indicates that dissociative symptoms are as common as anxiety and depression1. Individuals with dissociative disorders (particularly Dissociative Identity Disorder and Depersonalization Disorder) are frequently misdiagnosed for many years, delaying effective treatment. In fact, persons suffering from Dissociative Identity Disorder often seek treatment for a variety of other problems including depression, mood swings, difficulty concentrating, memory lapses, alcohol or drug abuse, temper outbursts, and even hearing voices, or psychotic symptoms. People with dissociative disorders are often diagnosed when seeking treatment for a variety of medical issuess including headaches, unexplained pains, and memory problems. Many people have symptoms that have gone undetected or untreated simply because they were unable to identify the root of the problem or were not asked the right questions about their symptoms. Because dissociative symptoms are typically hidden, it is important to see a mental health professional who is familiar with recent advances in the ability to diagnose dissociative disorders through the use of scientifically tested diagnostic tests. Dissociative identity disorder (DID) is defined in the fifth edition of the Diagnostic and Statistical Manual of Mental Disorders (DSM-5) as an individual having two or more distinct personality states, with disjointed sense of self, and with different in affect, behavior, consciousness, memory, perception, cognition, or sensory-motor functioning. Individuals with DID experience recurrent gaps in autobiographical memory. The signs and symptoms of DID may be observed by others or reported by the individual. DSM-5 stipulates that symptoms cause significant distress. This is a condition similar to DID but does meet all the criteria of the DSM 5 definition. Individuals with OSDD tend to have the depersonalization and derealization without the separate personality states. Other specified dissociative disorder can present in many different ways. In some cases, the dissociative symptoms are caused by a reaction to stress and last only for a short time. In other cases, brainwashing or coercion can cause identity disturbances similar to those in DID, but without the other symptoms. In these types of cases, an OSDD diagnosis is appropriate. A Traumatic experience is an event that threatens someone’s life, safety, or well-being. to cope, and elicit intense feelings such as fear, terror, helplessness, hopelessness, and despair. serious accidents; serious injuries; intrusive or painful medical procedures; loss of loved ones; abandonment; and separation. Research finds that childhood trauma and attachment difficulties as the two causal factors in developing a dissociative disorder. If the trauma is chronic and severe, occurring in early childhood. This, combined with a child not receiving adequate support from a caregiver, increases the likelihood of a dissociative disorder developing. Abuse is often perpetrated by a caregiver and is sexual, emotional, or physical in nature. People with Dissociative Identity Disorder commonly experience problems with attention and their memory. Treatment with medication for ADHD may help some of the symptoms associated with poor attention, but again will not help all the symptoms associated with underlying dissociation. People with eating disorders including anorexia and binging often experience inner feelings of dissociation and may have a coexisting dissociative disorder. People with undetected dissociative disorders often also self-medicate with alcohol or drugs. The subsequent alcohol or drug abuse then can mask the dissociative disorder. People with undetected dissociative disorders often experience generalized anxiety, panic attacks, obsessive compulsive symptoms. Treating only their anxiety will not help their dissociative symptoms. Some people with undetected dissociative symptoms can function well at work or school. Only close friends or family are aware of the person’s inner struggles or suffering. Sometimes, a person with undetected dissociation may need to be hospitalized because of feelings of low self-esteem, self-hatred, self-destructive feelings and/or suicidal ideation. The delay in accurate diagnosis results in difficulty maintaining close relationships, working below one’s potential as well as years of unnecessary suffering. This can result in worsening depression and continued mood swings and self-destructive behaviors.